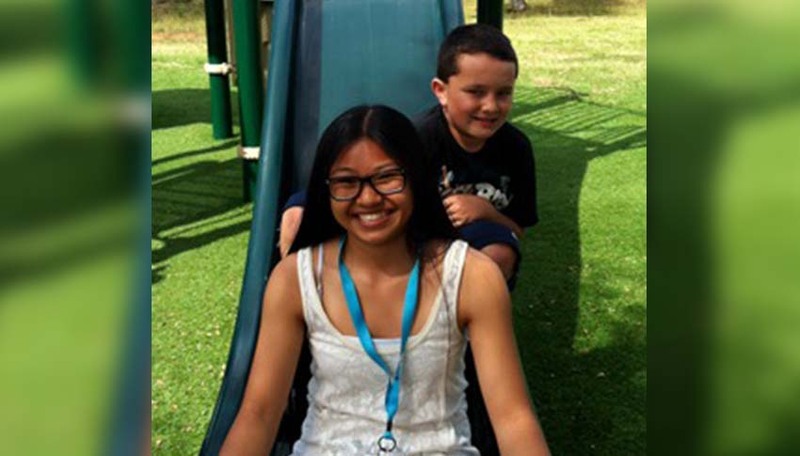 Kendra and her Little Brother Dillon were matched nearly three years ago as part of the school-based program on Oahu with Big Brothers Big Sisters of Hawaii. Kendra was a senior in high school when she first met Dillon, who was a shy, quiet boy with a lot of unhappiness in his life. It took time, but eventually their friendship grew, and in turn, so did Dillon’s confidence and his positivity. With the help of his Big Sister, Dillon began to break out of his shell. During their first year, Kendra and her Little Brother spent time learning about each other’s interests. A shared enjoyment of sports and outdoor games led them to discover that they both liked softball and baseball. Even if Kendra was a “girl,” Little Brother Dillon was excited and pleased to discover a sport they could both enjoy together! After their first year as a match, Kendra headed off to college. Dillon, then only nine years old, refused to continue on in the program if his Big Sister Kendra would not return. By this point, their friendship had grown, and Kendra knew that despite going away to college, nothing would change between them – she would return each week to continue enjoying spending time with her Little Brother Dillon. Due in part to her dedication to her Little Brother, and because of her commitment to working to help make a difference in Dillon’s life, Kendra was recently named Big Brothers Big Sisters of Hawaii’s Oahu School-Based Big Sister of the Year.